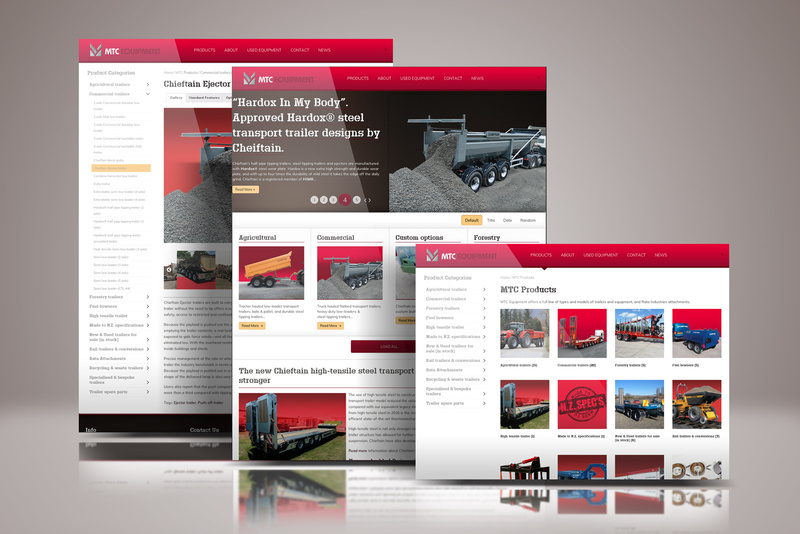 Showcase of MTC Equipment online catalogue website. The three pages portrayed are the homepage, a catalogue overview page and the Ejector Trailer catalogue item page. The three key elements to the responsive online catalogue’s ease of use.